Our Client needs to have a platform which provides an automated way for cryptocurrency portfolio development and management. The solution needs to adopt and match to both trader’s skills and risk acceptance level. A fuzzy logic based solution developed from our team, that uses genetic algorithm fitness of the parameters for optimal portfolio development and management. This AI system was developed with validated capabilities to play all investment scenarios that meet customer’s requirements and propose opportunities that fit. 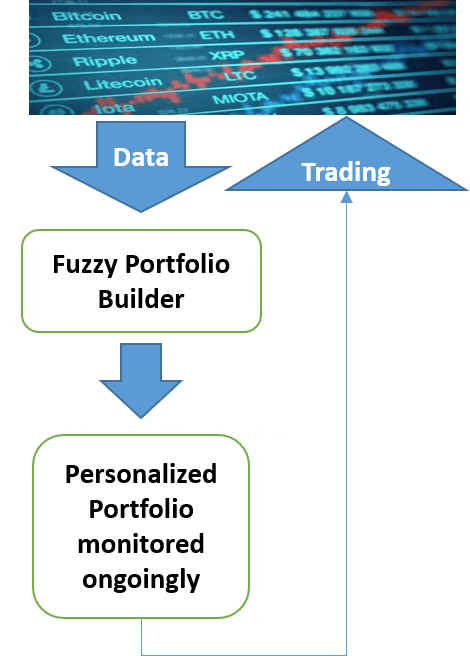 A specifically designed Fuzzy system is used to build the optimized portfolios. The system has in-house cryptocurrency data API for streaming. The output is multiple portfolios which are suggested to the customer as the optimal to be acquired as per current trends. The system provides in an ongoing manner additional suggestions to keep, sell, or modify the portfolio of choice in case of changes in the market trends.